Boys and girls in grade 3 and older are invited to join the Epiphany Children’s Choir. Rehearsals are Thursday afternoons, 4:45-5:30pm. 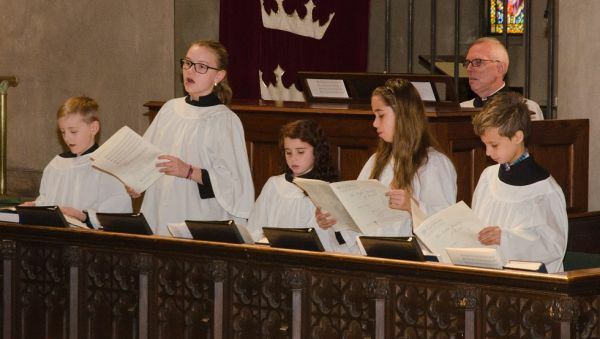 The Children’s Choir sings as scheduled at the Sunday 10:30am Holy Eucharist, as well as at the Advent Festival of Lessons and Carols. The season begins in mid-September and concludes in May. Scroll down to register your child for Children's Choir.